Ottawa's Matt Duchene called assistant Marty Raymond "a heck of a person and coach," adding that "he did not deserve what we said." 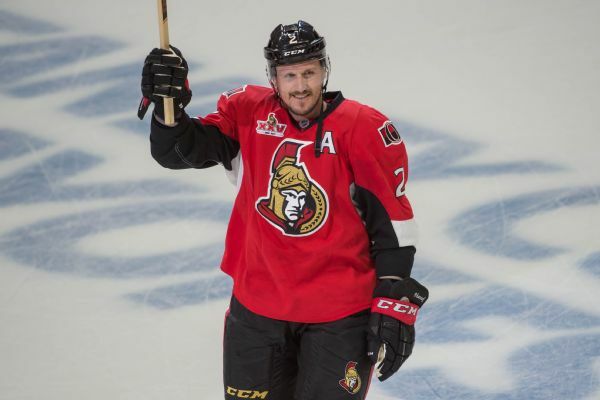 The NHL has suspended Ottawa Senators defenseman Mark Borowiecki for three games without pay for an illegal check to the head of Vegas Golden Knights forward Cody Eakin. 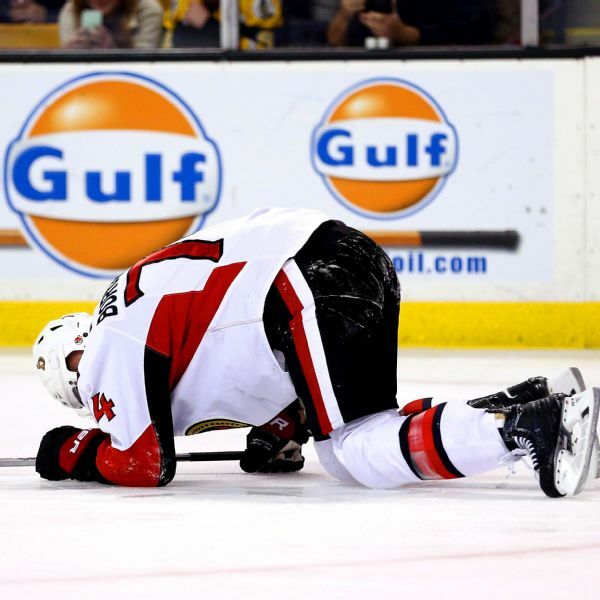 The NHL suspended Senators defenseman Mark Borowiecki for one game without pay for his elbow to the Bruins' Urho Vaakanainen on Tuesday night. The hit left the Boston defenseman with a concussion. 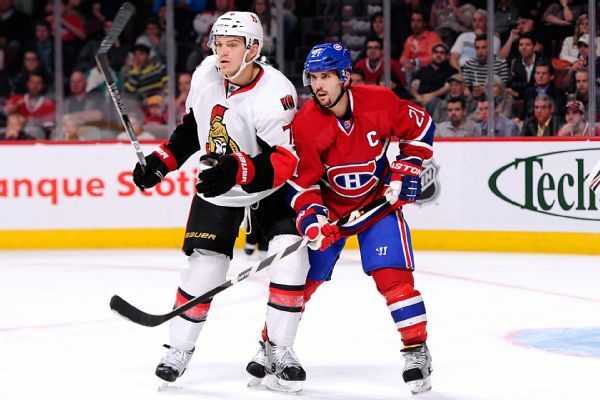 The Ottawa Senators signed defenseman Mark Borowiecki, who led the NHL in hits and penalty minutes last season, to a two-year, $2.4-million extension Thursday. 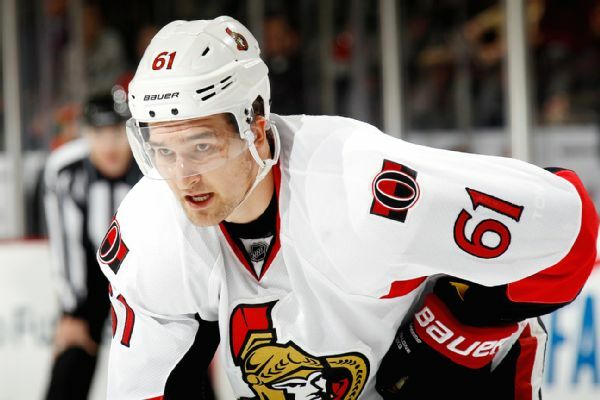 Senators defenseman Mark Borowiecki has been suspended for two games for boarding Kings forward Tyler Toffoli. 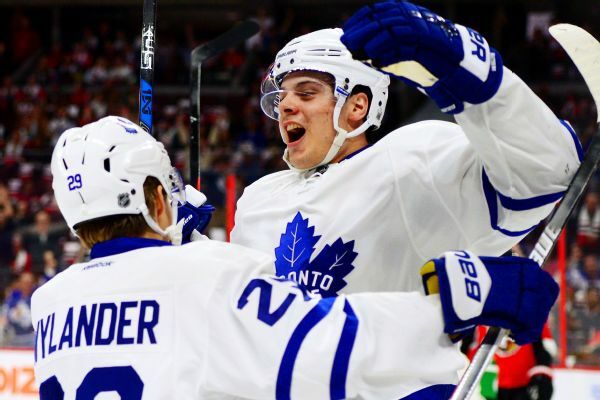 A day after his four-goal debut, Toronto Maple Leafs forward Auston Matthews said, "Hopefully, I did all right." Mark Borowiecki left the Senators' game at Columbus with a facial cut that left a pool of blood on the ice. Bruins winger Brad Marchand said Thursday that he won't appeal his three-game suspension. 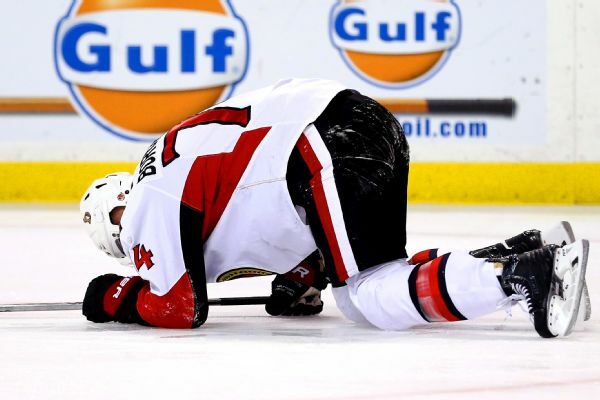 The NHL has suspended Boston winger Brad Marchand three games for clipping Ottawa's Mark Borowiecki.